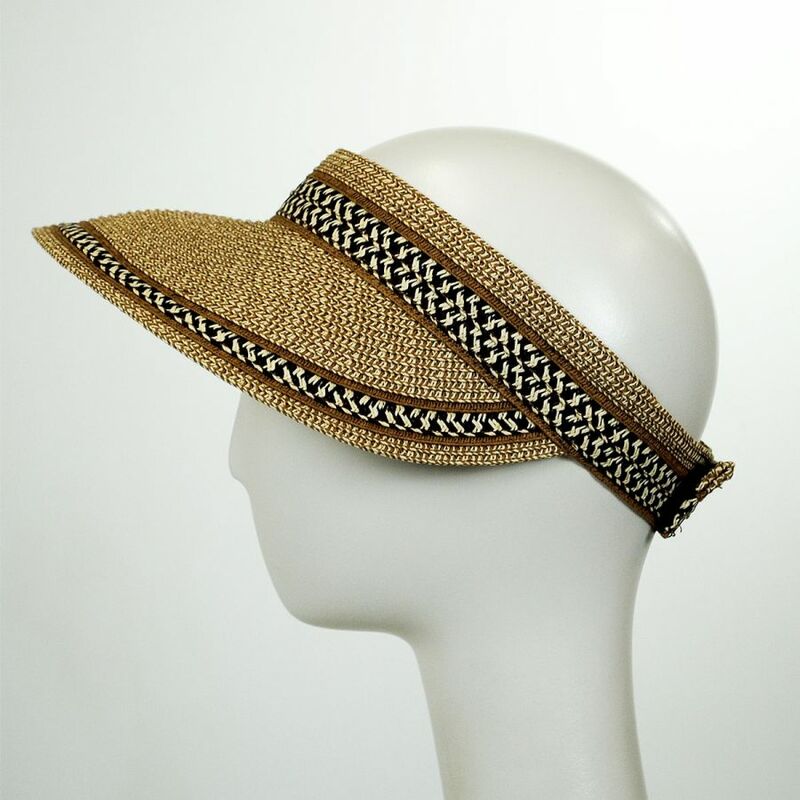 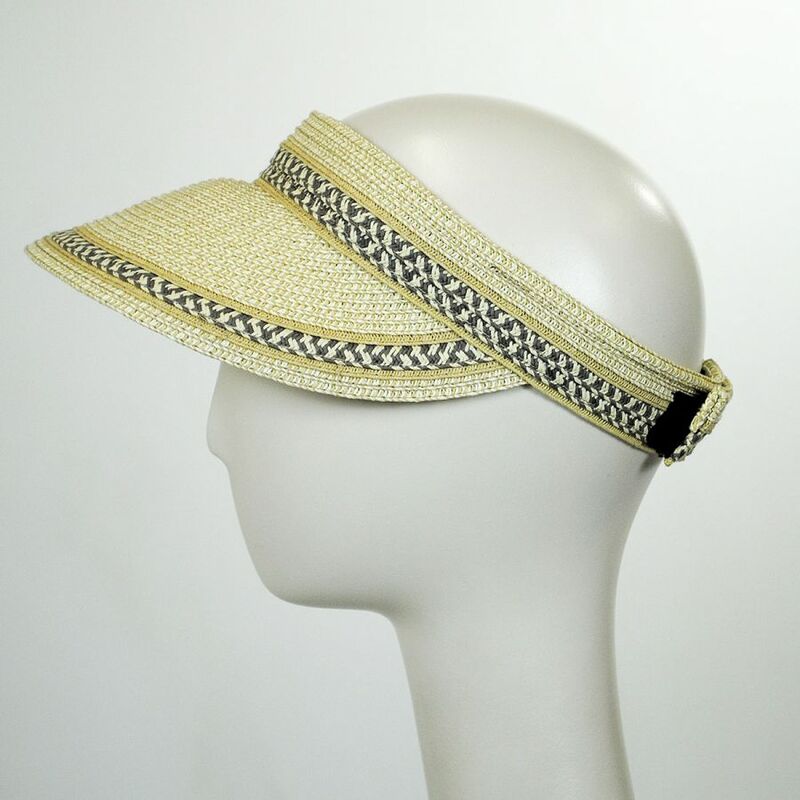 The Tweed/Check Rollable Visor by Jeanne Simmons offers the best in sun protection with a UPF 50+ rating while remaining conveniently packable and stylish. 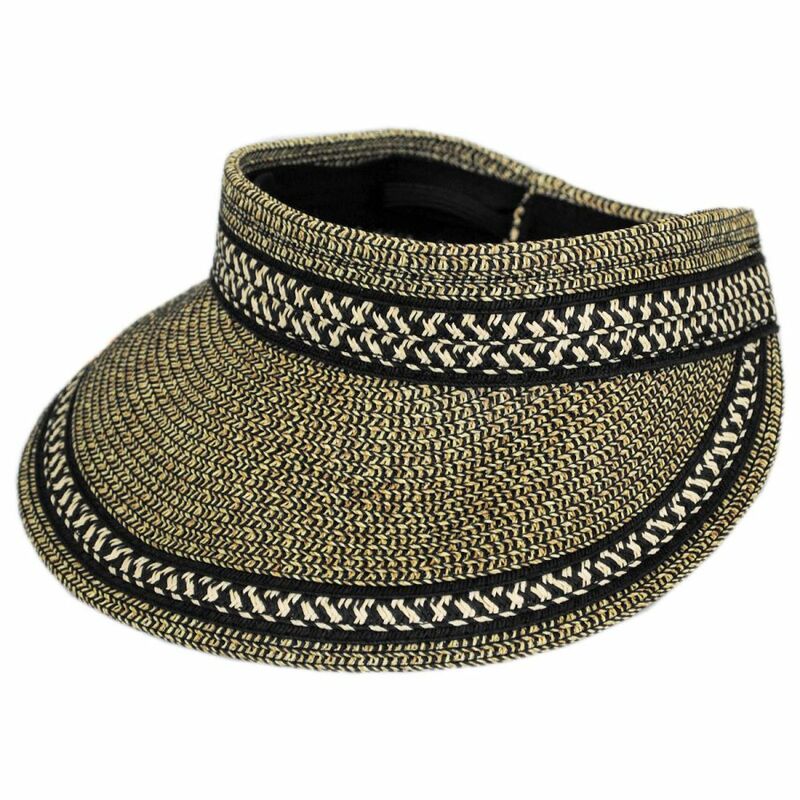 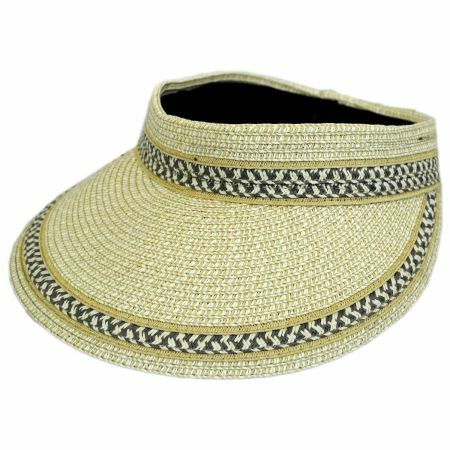 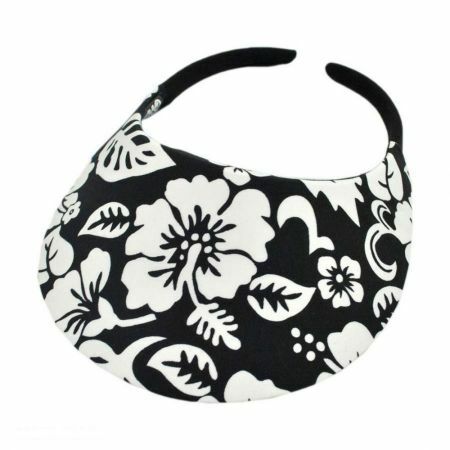 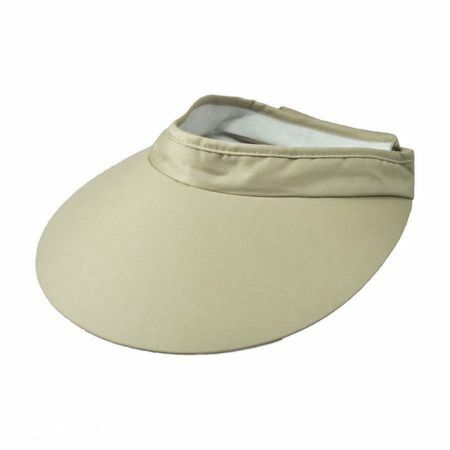 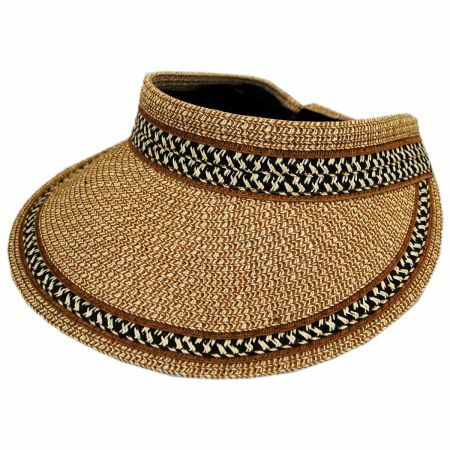 Made of toyo and polyester blend braiding in a great tweed and check design, this visor is not only lightweight but also completely packable - roll it up and clasp it into place with the provided elastic strap! 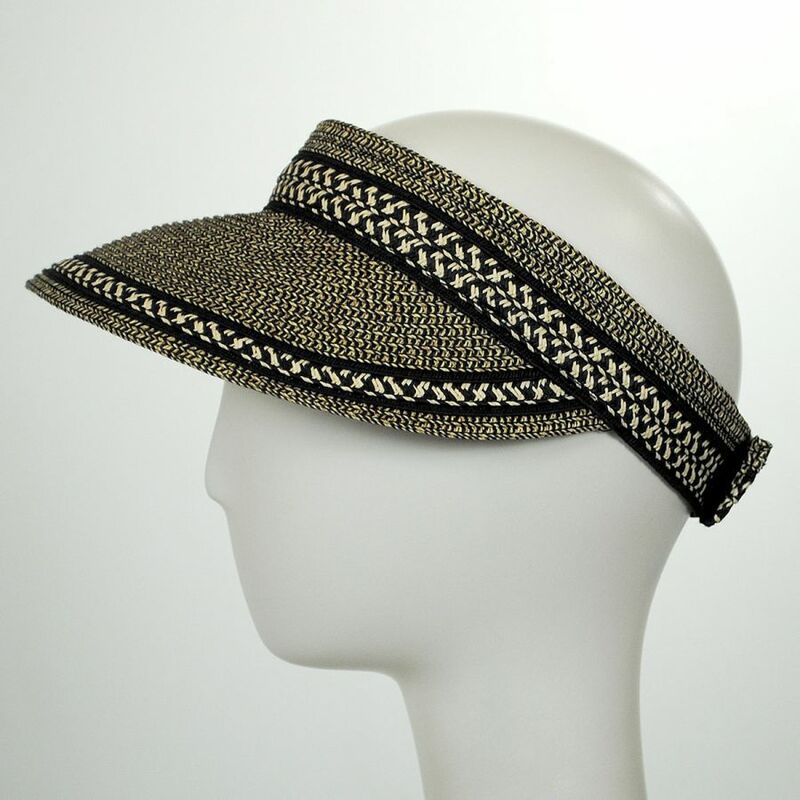 For added convenience, the Tweed/Check Rollable Visor boasts a removable terry cloth sweatband that can be taken off, washed, and placed back on. The Jeanne Simmons Tweed/Check Rollable Visor offers functionality, comfort and style! 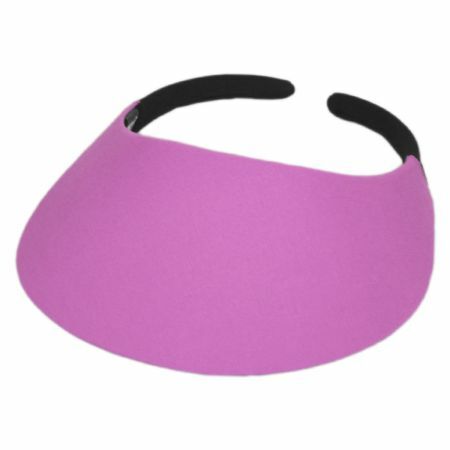 Size: Adjustable - Fits up to size 7 1/4 (L) comfortably; hat band can be tightened for a better fit.